We are absolutely delighted to receive this award from Hotels.com for a second year running. The ‘Loved by Guests’ Awards is an annual awards programme based on genuine guest reviews and experiences registered on the hotels.com online accommodation site. The company celebrates and recognises the hotels that have achieved the best average review rating, determined by over 20 million genuine and trusted reviews from the guests of the hotels. These awards are awarded exclusively to hotels whose score is equal to or higher than 9 points, to a maximum of 10. 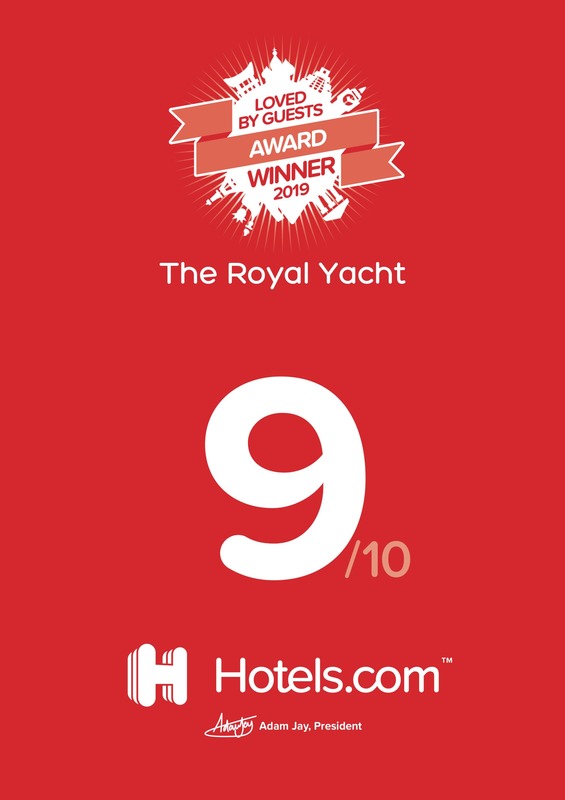 This fact alone reveals the exceptional level of quality and excellence of the services and facilities offered by The Royal Yacht to all our customers who visited us during 2018 and that leaves us feeling extremely satisfied.